There is little question that higher education is a bubble. With the hollowing out of the middle class, and the vast majority of the nation’s wealth going to the top 1-5%, how does one think that the average person will be able to afford higher education in 5-10 years (given the current trajectories of decreasing incomes yet increasing costs of higher education)? Many can’t afford it *now*, even when they want to send their kids to college. But when parents spend a fortune on their children’s schooling they’re not buying education; rather they’re buying the ‘right’ friends for them, the right contacts for the future, access to the right husbands and wives, not to mention buying their own (‘Our son goes to Williams College’) status. This may be true. But even the 1% will change their perspectives if employers start picking their talent primarily from predominantly online-based programs. If Christensen and Horn are correct (which I believe they are), the innovations in the online world will continue to outpace innovations in the face-to-face world. Given time, the online-based programs could be mind-blowing. (That said, I still think blended learning is the most effective choice, as it combines the best of both worlds). But the bottom line here is that for most Americans, there had ***better be*** a higher education bubble!!! (CNN) — The student debt fight is back — with a vengeance. Once again, current students are facing the possibility of interest rates on Stafford Federal student loans doubling. A few weeks ago, Warren, D-Massachusetts, proposed groundbreaking legislation that would give students the same deal that big Wall Street banks get. This bill is good policy, and even better politics. After all, why are we loaning money to mega-profitable international financial institutions at 0.75%, but demanding up to nine times more from our own young people? It’s all systems go, at last: Northern Arizona University, one of the ten institutions presently developing breakthrough degree programs with NGLC support, recently got the green light to start enrolling students in their Personalized Learning program. The Higher Learning Commission of the North Central Association of Colleges and Schools (HLC), NAU’s regional accreditor, approved their application to offer a competency-based degree program that moves away from the credit hour standard to use an approach referred to as “direct assessment” instead. 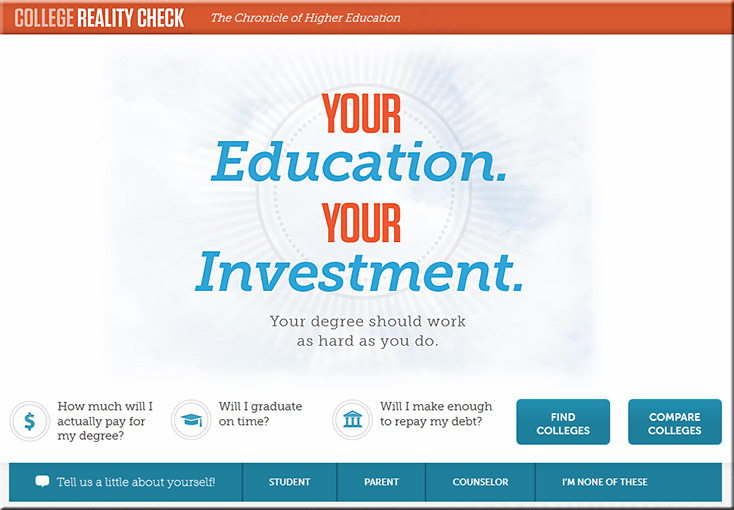 In this approach, students receive credit related not to their presence in a real or virtual classroom for a specified period of time but instead to their successful completion of assessments that show they have mastered clearly defined competencies or are able to perform specific, predetermined tasks. HLC has created a pilot group of four institutions now approved to offer a competency-based degree program: NAU, the University of Wisconsin Colleges (a system of two-year campuses), the University of Wisconsin at Milwaukee, and Capella University. You might also want to check out Lynda.com for the relevant training materials. 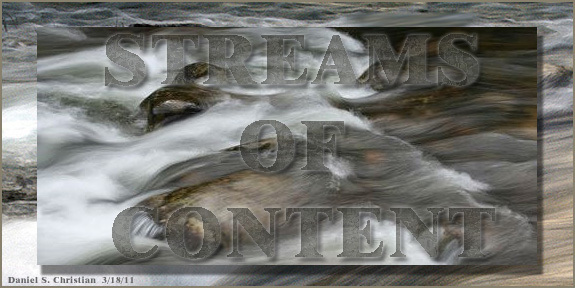 Let’s create our own streams of content — always up-to-date — plus we could help our students save big $$! And, as Michael pointed out, such tools could also be used internally for training-related and communications-related purposes. 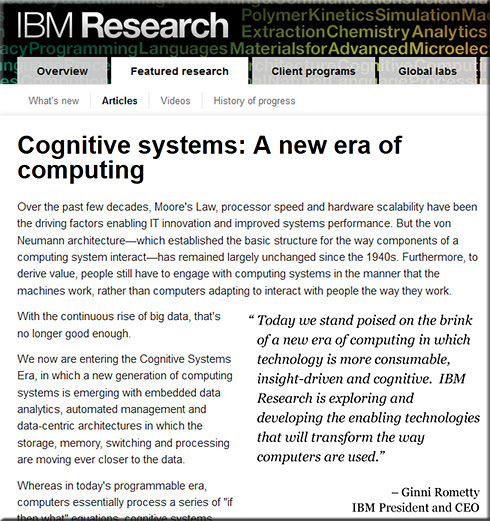 What happens when Watson learns a million databases? RPI students and faculty hope to find out. As the nation struggles to find new ways to increase college access and completion rates while lowering costs, a handful of “Next Generation Universities” are embracing key strategies that make them models for national reform. 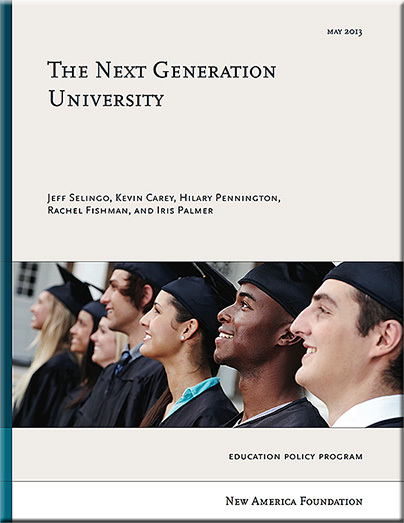 The report The Next Generation University comes at a time when too many public universities are failing to respond to the nation’s higher education crisis. Rather than expanding enrollment and focusing limited dollars on the neediest of students, many institutions are instead restricting enrollments and encouraging the use of student-aid dollars on merit awards. But, according to the report, some schools are breaking the mold by boldly restructuring operating costs and creating clear, accelerated pathways for students. Technology and the Next Generation University, New America’s Rachel Fishman explores the barriers to technology-enhanced education and presents promising practices Next Generation Universities employ to overcome them. In Formation of the Next Generation University: Role of State and System Policy, HCM Strategists’ Iris Palmer, Kristin Conklin, and Nate Johnson explore how transfer policy, financial aid, net price, performance funding and the K-12 pipeline affect Next Generation Universities within their state context. It makes recommendations for state and higher-education system policymakers on how to ensure public institutions are meeting the needs of the state. Online course providers typically target students, but Udemy is going after an underserved group: professionals. 55,949 Readers – www.masie.com – twitter: emasie – The MASIE Center. 1. 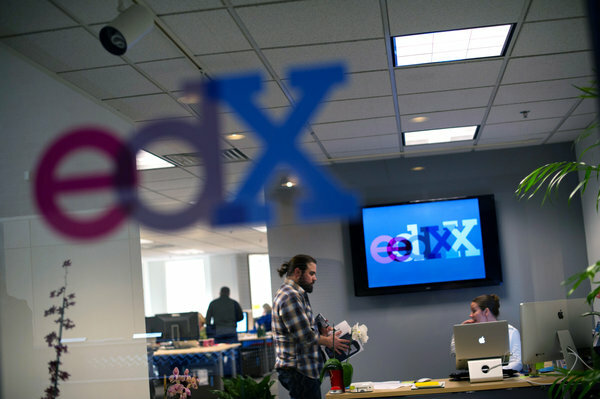 MOOC’s & Corporate Learning? There is a great media interest in MOOC’s – the innovations for Massive Open Online Courses – where one instructor runs a course for thousands or tens of thousands of learners. I have been a student in three MOOC’s and a teacher/facilitator in three. Now, we are hearing from many learning colleagues about the applicability of the MOOC to workplace learning. I would urge TRENDS readers to approach MOOC’s as important beta/lab experiments – where important and cool innovations are emerging in the construction, delivery and economics of educational “packages”. My experience as a MOOC learner has been exciting and mixed. While there were over 70,000 learners in one program – very few made it to the end of the program – and fewer were fully successful from a competency point of view. It was exciting to see how learners could be co-designers of the program and many resources were developed and disseminated from the learners. Finally, there were mixed models of how well the social/collaborative side of the MOOC’s worked. As a teacher – I struggled with the format shifts reflected by MOOC’s. Were the assignments suggestions or could I predict a level of engagement of the learners. Was the content that was posted by learners legal – some added video that wasn’t within their IP ownership. And, the issue of fees were also interesting. A free MOOC will get high starts but perhaps high drop offs. When fees were added, did that take away the “open” label. It is also interesting to see colleges and universities that have never made a profit on classroom offerings think they will generate good margins by adding MOOC’s to their offerings. – O: Open content and content reuse along with curation by learners. – O: Online resources added to both 1 mode and mixed/blended mode delivery. And, is there a Competency check assumed in a MOOC – as well as certification or even college credit? MOOC’s are important innovations. Now, we need to label them as Lab or Beta tests – and gather evidence as we experiment with the use of all or some of MOOC’s elements in corporate settings. 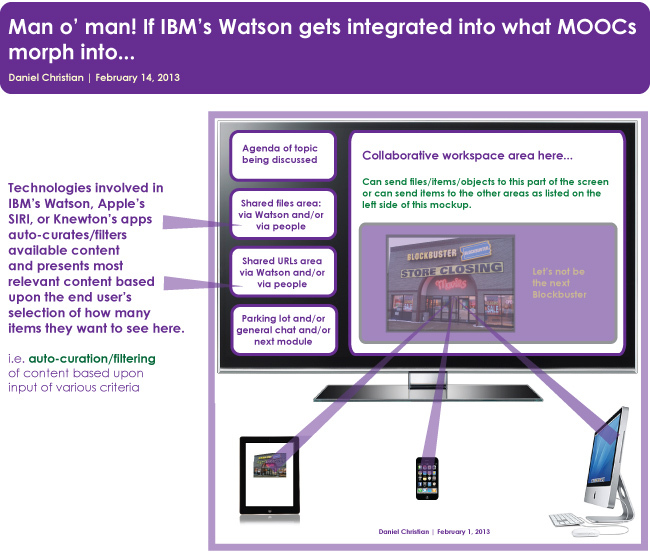 We will be experimenting with the MOOC as a corporate model in an upcoming Learning LAB of our Learning CONSORTIUM. Interested in hearing from TRENDS readers exploring MOOC’s in our world. Employers want certain skills. Employees don’t have them. Why? And what can organizations and Training, employees, and the educational system do to eliminate the disconnect? With the U.S. unemployment rate hovering around 8 percent and millions of people desperately looking for jobs, why are many employers claiming they can’t fill their vacant positions? The answer: A skills gap that threatens the sustainability of businesses around the world. And while a big part of the skills gap is a shortage of people skilled in the STEM (science, technology, education, and math) industries, there also is a gap in soft skills such as communication and advanced leadership skills. What is causing these skills gaps? What can—and should—employers and their Training departments, employees, and the education system be doing differently? This first article in a five-part series will address these questions. Subsequent articles will explore how corporate partnerships with colleges and universities can help bridge the divide (May/June), how to motivate employees to take advantage of skills gap training and eliminate any sense of promotion entitlement (July/August), how technology can help (September/October), and additional potential solutions and strategies for success (November/December). We had better start talking STEAM not STEM from here on out (i.e. add the ARTS!). You can’t get creative thinkers without fostering some creativity. NovoEd is the only online learning platform that provides a connected, effective and engaging learning environment for students using a combination of techniques in crowd sourcing, design and analysis of reputation systems, and algorithm design. NovoEd’s philosophy is to advance the online learning experience by making online courses more experiential, interactive, and collaborative. On our platform, students not only have access to lectures by thought leaders and professors from top universities, but they are also able to form teams with people around the world and work on class projects. 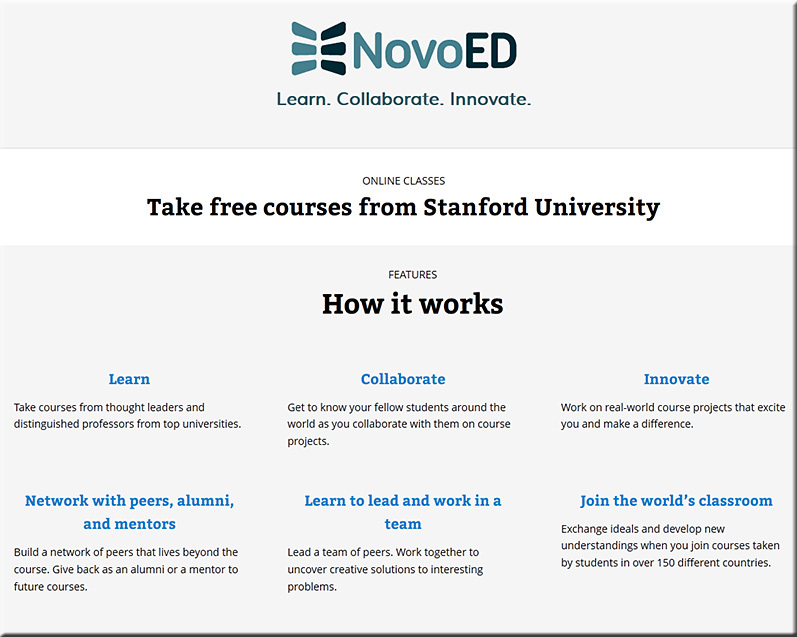 NovoEd uses online learning to deliver learning opportunities at massive scale. We offer courses and programs by thought leaders in a wide range of fields and in partnership with universities. By fostering online collaboration, team work and project-based learning, we nurture problem solving, collaboration, and leadership while addressing specific topics and business opportunities. will release automated software that uses artificial intelligence to grade student essays and short written answers.